This machine is the newest weighing style rotary filling machine .It is characterized by large productivity, high automation,weighing filling and high precision. 1. This machine adopts PLC and touch screen control panel, which is convenient to adjust. 2. Each filling head has the weighing and feedback system.Each filling head can be regulated and micro adjusted. 3. Photoelectric sensor ,approximate switch and other electrics elements are the international famous brand. NO bottle no filling,the main host will trigger the alarm if there is any container blocked or lacked. 4.The filling head uses double-speed filling style. It can dive deep into the bottom of bottle to avoid foam and dripping. The storage tank is controlled by liquid level and supplied by automatic pump. 4. 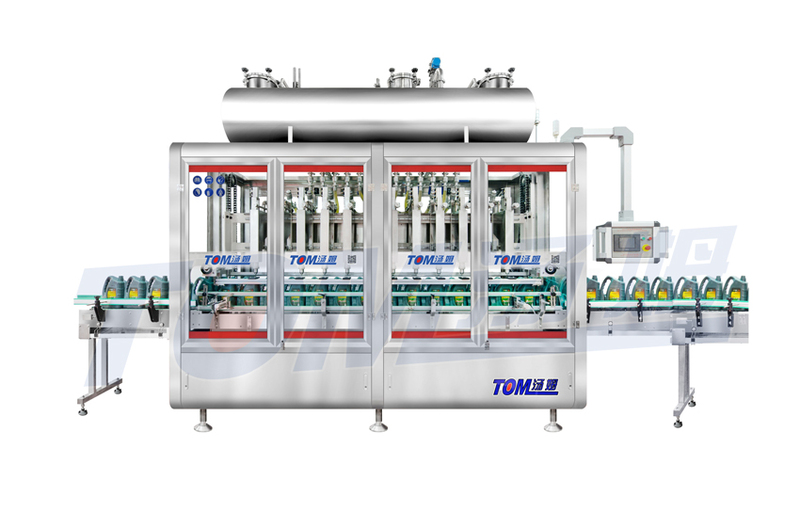 The whole machine reaches GMP standard .It is easy to disassemble ,clean and maintain, and the parts which contact with the filling materials are made of high quality stainless .The whole machine is safe ,environmental and sanitary steel .It can adapts to various of working conditions.